Summer is raging, and so are plans to travel to Europe. Have you got your packing list for Europe checked out and ready? Fresh after creating my India Packing List, I realized how complicated and different it was to plan a Europe packing list. Not only because different countries here can have a significantly different weather, but also the fact that weather in Europe can sometimes be totally unpredictable. Not to mention, what is totally fashionable in one country may not be the same in another. After having lived here for over a year and half, and spent more vacations than I should have, I have somewhat perfected my must-have items on a packing list for Europe. Planning a trip to Europe? Check out my Europe Trip Planner here. The weather in Europe changes in minutes, if not seconds. A morning that can start bright and sunny can quickly turn into a rainy, cold afternoon. If there is one thing I never leave without it is a light jacket that I can wear anywhere I go and especially for evenings that tend to get colder, even in summer. Leather, denim, fleece are all acceptable as long as they are classic jackets which go with multiple outfits! If there is one thing you will do a LOT in Europe, it is definitely WALKING. I cannot stress on how important it is to either carry a pair of sport shoes or canvas shoes just for the purpose of walking. Heels and cobbled streets don’t go well together and many city centers will simply not allow you to use cars or any other vehicles. You have to come prepared to walk a lot and for this you definitely need a cool pair of sneakers that go with multiple outfits and are comfortable to walk in. If you plan to travel alone, your packing list for Europe should most certainly include a pair of awesome earphones or headphones. No, I don’t mean the free kind you get with your phone. They will most likely be of sub-part quality, not have cool functions such as bluetooth connectivity and may not even last you the entire trip. I cannot remember how many times I have cursed Apple for my earphones and I make sure to carry an extra bluetooth pair when I travel. No messy tangled wires and no half functioning earphones. You could also go one step ahead and carry a pair of portable speakers. I do this, especially when I plan to go hiking or in places where I can just sit in a balcony, listen to my own music and enjoy the view. I highly recommend this item if you plan to carry your music wherever you go and prefer a more natural sound system. For all you photography or Instagram buffs, you NEED to include a good tripod with you on your packing list for Europe. Depending on whether you use your phone or a camera and how big or small a tripod you need, I would highly recommend this. Asking fellow travelers is possible, but 9 times out of 10 you will NOT be happy with the result. Let’s face it, most people do not know or care enough to click a great picture of you. They might also not know how your phone or device works. When I go to a place alone, or even in a group and want a shot with a great backdrop, I carry my small JOBY pod, set it up at a height, run some test shots and then go ahead and take a few final shots. This gives me a lot of power to decide how, where and in which setting my final photos come about. Ryan Air, Wizz Air, or Easy Jet. Chances are you will fly one of these airlines on your way around in Europe. Chances are you won’t read the fine print of their baggage policies and end up paying more than what you paid for your flight just for a bag that was 4 cms taller in size than was allowed on this plane. Checked-in luggage on these planes can cost upwards of €40 per person per way. This adds up VERY FAST. You’d probably like to travel light so you can take just one cabin luggage for free. Wait, but what should be the size of this bag? Make sure to read each budget airlines’ baggage policy carefully, and pack a small bag in advance that would enable you to fly stress free and save money using these airlines. I normally either carry a Ryan-air approved stroller or a small duffel bag. Make sure to have enough space for souvenirs or any other shopping you may want to bring back! So, this rounds up my list for my must-have items for your packing list for Europe. Or my Global Packing Lists. 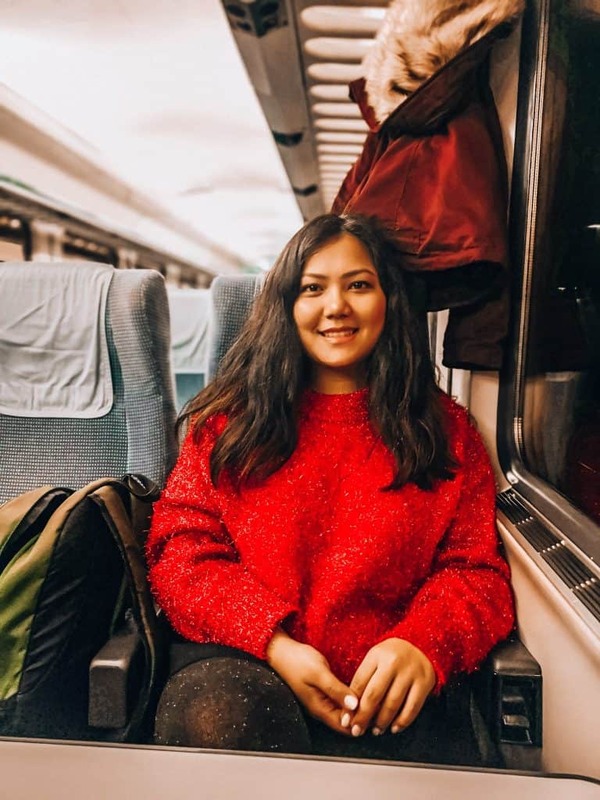 You may also want to read more on how I manage to travel the world for cheap as a student and how I”ve been to over 15 countries in less than 4 years. Europe is in my bucket list! hoppefully Im going next year! i will keep in my your great tips!! thanks x sharing! Great tips! Especially the baggage one!